It was so much fun! 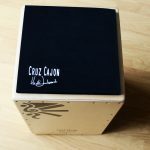 Not only did I get to give the masterclass but I also took quite a few classes from some of the best cajon players in the world, got asked to perform with some of the best flamenco musicians onstage twice during my visit, and made a lot of new cajon friends!!! It was AWESOME!!! 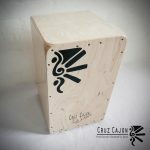 I am planning a trip to MAdrid with my cajon students later this year, let us know if you wanna join us on our cajon adventure! Post by Guillermo García Guille.